Goal setting is a skill that requires focus on the things that are most important and weeding out of the things that are less important. Let’s face it: we can’t achieve every goal we set out to achieve, either for ourselves or for kids. It is important to outline what the most important goals are first. One way to decide what to focus on to boost your child’s outlook and results is to think about problem areas. For instance, one goal for a child who has trouble concentrating should be to find strategies that improve attentiveness. Some examples include considering distractions are at school and at home, observing behaviors when on task and talking to teachers about their observations. This takes a systematic approach to the problem of lack of focus, rather than spending time worrying about the situation. An important factor in achieving goals is to choose objectives that are both concrete and realistic. Concrete goals are tangible and achievable within a reasonable amount of time. Realistic goals are just hard enough to challenge you without being unreachable. A realistic goal would be to go from Cs to Bs after the first semester. Small actions over a longer period will show that goals are more reachable and the behaviors you establish are more likely to become habit. Communicating with teachers is essential to your child’s success. Some teachers are more approachable than others are, communicating communicate easily with parents and letting you know that they are there to help. Others may require some initiative on your part to start the communication flowing. Make a point to contact teachers that are directly involved in your child’s education and address any issues that may be a problem. This way you will get ahead of issues before they become a major problem and help to solidify your relationship with key players in your child’s academic life. Just as teachers and school administrators set expectations for kids, parents should also set targets that they expect kids to achieve, including expectations for grades, school performance, extracurricular activities and even chores they are expected to do at home. This could also include homework time and boundaries that you set regarding screen time on the computer and TV. Psychologists have performed numerous experiments regarding rewards on behavior. Rewards work because they encourage children to repeat constructive behaviors. By establishing a reward plan for the desired outcomes and behaviors, you are setting your child up for success. 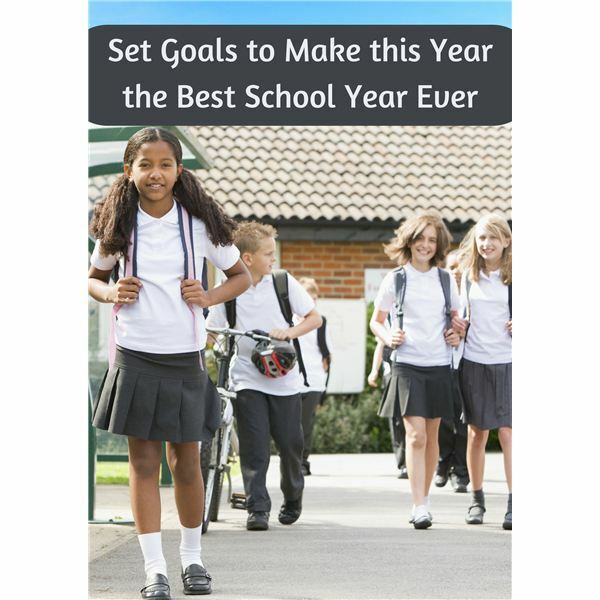 These are just a few ways that you can help your child make the coming school year the best school year yet. A positive outlook along with having a plan and dedication to working that plan will greatly increase your child’s chances of success.